Almost every family has a Christmastime custom that, for them, signals the start of the holiday season. Maybe it’s decorating cookies, trimming the tree, watching “Home Alone” for the umpteenth time or hanging up the mistletoe in a strategic place. In these parts, Christmas wouldn’t be complete without one special festive tradition: the Independent Presbyterian Church Holiday House Tour. In its 69th year, the two-day event is still creating merry memories for generations of Birmingham residents. This year’s tour, set for Dec. 8 and 9, features four houses that will be decorated in holiday finery. Also open for the tour is the historic church at 3100 Highland Ave. IPC members decorate the sanctuary and parlor, and a Christmas tea will be served in the church’s Great Hall. The church, founded in 1915, was designed by Warren, Knight and Davis architect William Warren. Helping to organize this year’s event are Penney Hartline, tour chairman; Mary Beasley and Greer Elkus, house chairmen; Honora Gathings, IPC communications director; and Jennifer Cope, publicity chairman. Proceeds from the tour benefit women and children through IPC’s community ministries, the church’s food pantry and STAIR – Start the Adventure in Reading. The Holman Home. Journal photos by Jordan Wald. The Holmans have built and renovated several houses in Birmingham over the years. 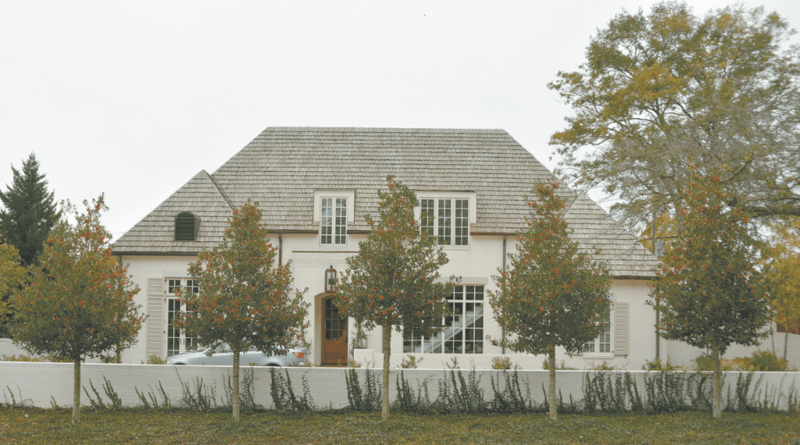 Their home on Country Club Circle has an understated French exterior and modern interior, bringing together the best of the mid-century modern home they renovated most recently and the French home they built previously. The house’s open interior is appointed with the Holmans’ collection of antique furnishings and is perfect for the casual and open-air entertaining Val and George enjoy. The house was designed by George’s brother, Richard; decorated by his sister, Mary Lib; and built by George’s company. This is the third house the Schleusners have built with a design by Birmingham-based architect James Carter. It’s the 20th and last home in Highland Crescent, a cul-de-sac built on the former site of John Carroll Catholic High School. The house, designed for easy living and entertaining, has a traditional English Tudor façade. Inside is an eclectic mix of antique and modern elements, showcasing both trends and tradition. Tourgoers will see interesting features that include a patio fountain (also known as a hot tub), an outdoor kitchen and an apartment for a future caregiver. The Thompson and Draper Home. This building was constructed between 1912 and 1914 as Clairmont Terrace Apartments. 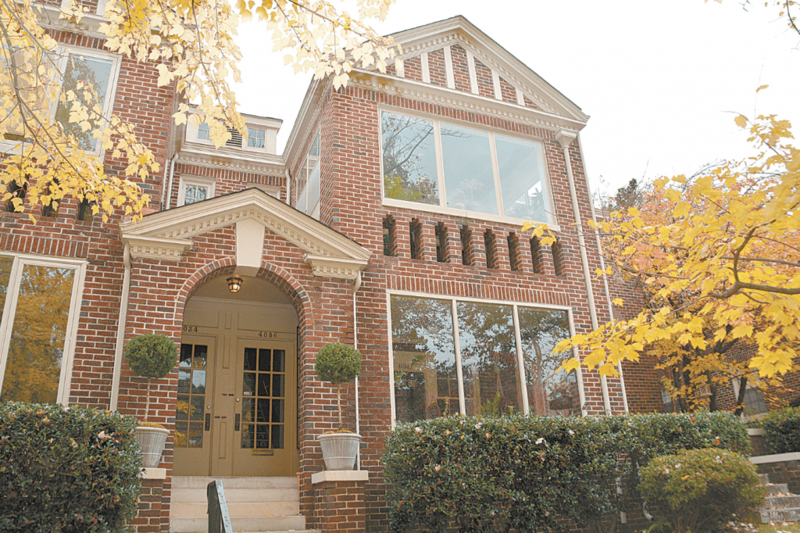 It’s within the quiet neighborhood of Forest Park but has the feel of a big city brownstone. The comfortable interior has plenty of ideas for small spaces. Both Draper and Thompson have inherited family heirlooms, and these items add to their condominium’s warmth and graciousness. The two own Shoppe, a garden and home store that’s just a short walk up Clairmont Avenue. Tour hours are 10 a.m.-4 p.m. on Dec. 8 and 1-5 p.m. on Dec. 9. Tickets are $30. You can buy them online at ipc-usa.org or at the church reception desk during business hours beginning Dec. 1. Tickets also will be available during the tour at each home and at the church.